Every few weeks, I publish a free newsletter about current issues or questions about Educational Psychology. 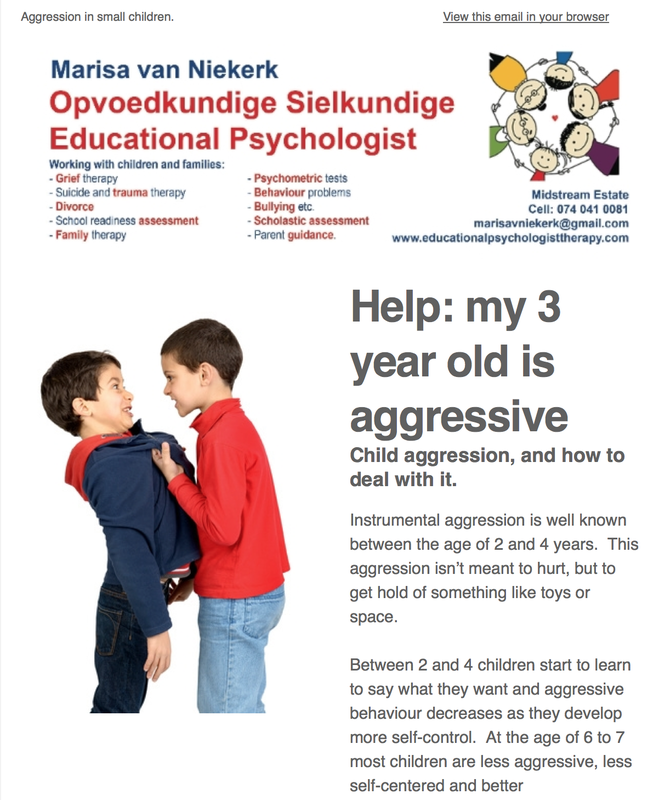 In the first edition of the newsletter, I have discussed the role and function of the Educational Psychologist. Recent issues have dealt with school readiness, and ways of helping your child to become school ready. Feel free to subscribe to the newsletter, and receive up to date information about a variety of topics. 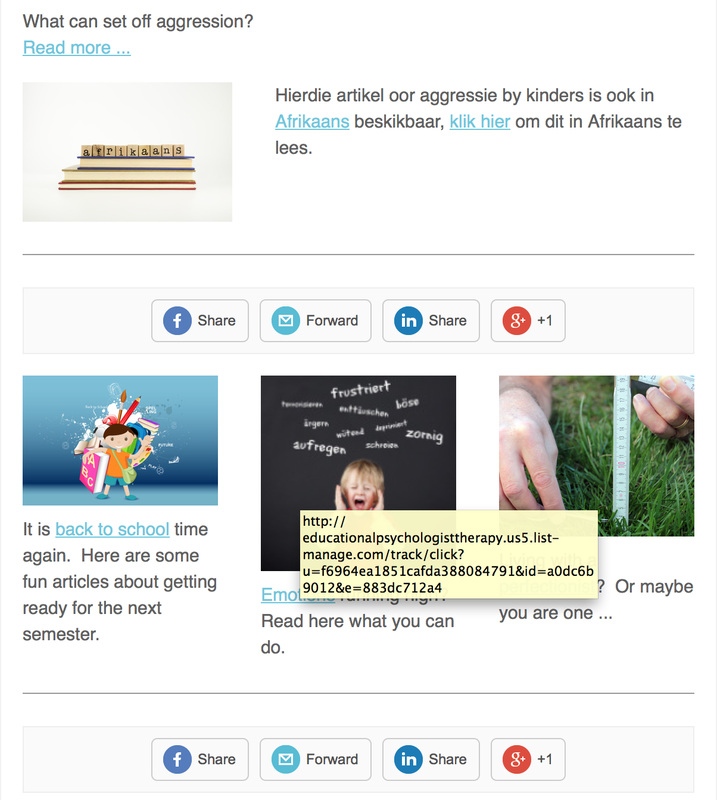 In the images below, you can get a preview of how the newsletter looks.